Show up extremely late to a child custody exchange. Fail to show up for a child custody exchange at all. Engage in high-conflict communications at the child custody exchange. These are the most typical. We’ve heard of situations where the high conflict ex got violent or brought friends or family members who were threatening, menacing, or violent and the child custody exchange. You’re not alone. Most people engaged in high conflict child custody experiences have gone through one or more of these very experiences. Child custody exchanges are a “popular” opportunity to create chaos for the children and the targeted parent. Infrequently are there any repercussions for such behavior. is a great way for the other parent to create trouble, seemingly without any type of repercussions. 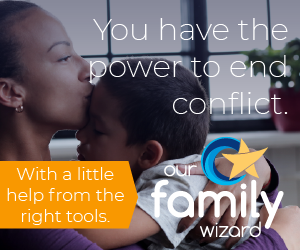 How do you manage your child custody exchanges to minimize the opportunities for conflict? Well, first you must understand that your child custody order is a civil issue and not a criminal one. While police have the ability and should help to enforce a lawful order of the court, many people often back down in the face of police personnel who will casually say, “Sorry, can’t help you. You’ll have to go back to family court.” So much for protecting and serving. Understand that with millions of broken families throughout the country, that would be a tremendous amount of additional work for the police. We know that offers no consolation when all you want to do is try to have as normal a life as possible after you’re divorced. The bottom line for us is that children need both parents, when both are willing, able, and fit to be parents. They deserve a life post-divorce that is devoid of the chaos and terror a high-conflict ex can bring to every single interaction. It’s important that the parent-child relationship is protected. With custody exchanges, you’re essentially on your own. Start with solid parenting agreement language. When you consider the pitfalls of vague child custody order language, it’s important for you to prepare enough details to take appropriate action in the face of a failing child custody exchange, but not so much detail that you’ve handcuffed yourself to unreasonable conditions. Allow for a reasonable child custody exchange time window. Traffic snarls happen. Getting hung up at work – happens. Prepare an order that allows for reasonable flexibility. A backup exchange time in the event of an unforeseen delay (work, traffic snarl) may be appropriate. And it should also allow for a no-call, no-show to result in the loss of that parenting time so the responsible parent can carry on with their day and/or evening. If you’re in a high conflict child custody situation, insist the language in the court’s order requires an exchange to take place in a high visible, public location that is reasonably located between parent’s homes. Work to change your current, ineffective child custody order. If you already have a vague or otherwise ineffective child custody order or parenting agreement in place, you have to prepare diligently in order to petition the court for a change. Clearly define the problems in writing. Be very specific about the child custody exchange experiences. Be sure to journal every encounter, including ones that go well. Compare and contrast what happens during bad child custody exchanges versus what happens during good ones. See if you can identify a trigger. At the very least, having a journal will help you to recall events with details if and when it comes time to testify. Establish a pattern of poor behavior in the high conflict parent to prompt a judge to consider the changes you seek. File your petition to modify child custody. It takes time and, like most other issues we all suffer in a high conflict divorce and child custody matter, careful planning and execution. Patience is key. Planning is key. When you present your facts to the family court and show a clear pattern of poor behavior in the other parent, your chances of success become much greater.